Ottawa's police chief says the force's 2018 draft budget is "not financially sound," but is the only plan that will allow police to meet the city's spending goals without cutting service. Ottawa's police chief says the force's latest spending plan is "not financially sound," but is the only one that will allow police to meet the city's fiscal targets without cutting service. Chief Charles Bordeleau presented the 2018 draft budget to the police services financial committee Monday. It calls for an $8.5-million increase, which meets the two-per-cent limit on extra spending laid out by city council. 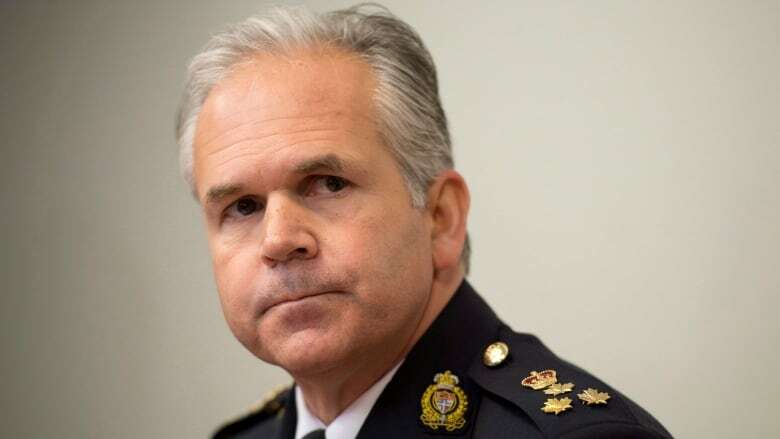 Bordeleau plans to cover expanding costs by diverting $3 million from police reserve payments, money that will have to be repaid over the course of the next 10 years. "Though not the preferred option, this is the only option we feel we have to stay within two per cent," Bordeleau said. "It does present risks in the years to come." Without the reserve money, the police service's spending increase would sit closer to 4.3 per cent, Bordeleau said. Some members of the finance committee expressed their lack of confidence in the plan, but none could come up with a viable alternative. "It's a great deal of smoke and mirrors," said Police Services Board vice-chair Jim Durrell. While the plan will keep the police within spending limits for 2018, it could leave them with a spending increase as high as 5.4 per cent in 2019, the committee heard. Hiring 25 new officers: $2.1 million. Increases in long-term disability and workers' compensation: $1.5 million. The spending plan would also have an impact on the service's ability to maintain its facilities, committee members heard. "This is going to hit us like a ton of bricks down the road," said committee member Sandy Smallwood. He said he was told at previous meetings the maintenance money was essential because of the deteriorating state of police facilities. "I just don't think this is going to work," he said. The draft budget also presumes police will be able to find an additional $2 million in efficiencies every year for the next four years. This year Ottawa police were only able to find $600,000 in cutbacks. Committee members agreed the annual savings target is unrealistic and unachievable, and called for its removal from future budget projections. "You can only wring a cat's neck so much before you kill it," said Durrell. Police board chair Eli El Chantiry said council should consider lifting the two per cent cap on police spending, but he doesn't think it will happen because of the political pressure to keep spending — and property taxes — down. "If I said that was going to happen in an election year I'd be lying to you," El Chantiry said. The police budget will be tabled in November.